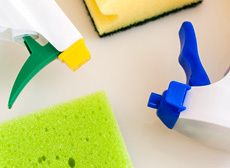 Nadia’s House Cleaning of Boston, Massachusetts caters to commercial businesses and residential homes and supplies our comprehensive house cleaning and janitorial services locally and in surrounding areas. We are fully licensed and insured to offer our professional expertise at affordable rates. With our professionals being the leaders in the industry and having advanced training, years of experience, and remarkable skills; they are more than qualified to perform any task associated with our services. Along with having the best in the business in our arsenal, Nadia’s House Cleaning utilizes high-end products and equipment sold only to licensed professionals to ensure our valued customers receive nothing less than maximum results. Nadia’s House Cleaning includes janitorial and house cleaning services for restaurant owners throughout the Greater Boston, Massachusetts area. Keeping your restaurant clean is important and essential for happy staff members and satisfied customers. If your restaurant is filthy, profits will drop; no one will eat in a filthy dining area and if customers theorize that if you allow them to see a disgusting dining area, the kitchen is in far worse condition. 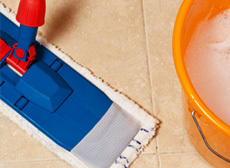 Our experienced experts will clean the bathrooms from top to bottom, make certain the dining hall and lobby area is well cleaned and sanitized, and the kitchen area is cleaned to perfection. 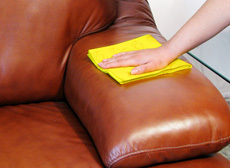 All surfaces areas and floors are dutifully cleaned accordingly. There are many benefits to restaurants and commercial kitchens staying clean. The first and most important reason is safety. Clean kitchens reduce the number of bacteria, pathogens and other illness causing agents to infect the food that will be served to patrons. 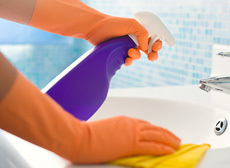 Having a clean kitchen also reduces the number of slip and fall accidents. In addition to safety benefits, clean kitchens promote workplace productivity. Working in a clean and orderly kitchen will make it easy and pleasant for staff to find needed ingredients and complete tasks in an efficient, timely manner. If your restaurant in Boston, Massachusetts and surrounding areas is in need of an experts touch, contact Nadia’s House Cleaning today and let us do the rest!